Are you over 50 and looking for a singles holiday? You’ve come to the right place! We have brought together a great selection of trips and sunshine breaks that are ideal for solo travellers, many with no single supplement and all of them popular with people travelling alone. The vast majority of the singles holidays on this website are open to all ages. If you’re sufficiently fit, strong and keen, you can do it. But of course it’s always advisable to speak first with the tour operator and discuss your options. The holidays we’ve selected fall into three categories: (1) holidays that are exclusively for solo travellers; (2) holidays that cater specifically to solo travellers, often with no single supplements on selected dates; (3) holidays that are popular with solo travellers, such as small group tours. Here’s my pick of the best singles holidays for over-50s. Also see my suggestions for over-40s and over-60s singles holidays. Many cruise lines are popular with older single travellers, but we’ve found that Fred. Olsen is one of the best companies for over-50s with its small friendly ships, an inclusive atmosphere with dining options for solos and no single supplement on selected dates. It’s ideal if you prefer a more traditional cruise: the dress code is formal in the main restaurants while gentleman dinner hosts and companions for shore excursions are available if you wish. Check out the latest deals. Saga Holidays, which caters exclusively to over-50s, has some great cruise deals on its ships too, the contemporary-styled Saga Sapphire and the more intimate and traditional Saga Pearl II. The third member of the fleet, Spirit of Discovery, is also coming in summer 2019. Both sail in and out of Southampton or Dover and prices include all tips, entertainment, meals (including 24-hour room service), welcome cocktail party and Captain’s dinner – plus transfers between your home and the port (up to 250 miles) or free car parking. The small cruises from St Hilda Sea Adventures are popular with over-50s as well, with a maximum of eight on board and itineraries taking in the islands off the west coast of Scotland. Seahorse II has two single cabins as well as a double which can be booked for sole occupancy with no single supplement. There’s more on offer than ocean cruising too. 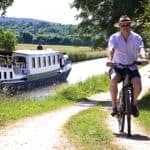 European Waterways runs luxury barge holidays focused mainly on France with destinations including Burgundy, the Canal du Midi, Bordeaux and Champagne. 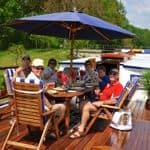 Its special interest cruises include subjects such as wine appreciation, antiques, flower shows and golf. Keep an eye on the special offers for trips with no single supplement. 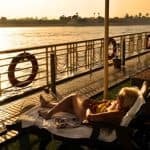 And, of course, a Nile Cruise in Egypt is one of the most exciting river itineraries in the world, with the chance to try a short sail on a traditional felucca as well as more luxurious onboard accommodation. If you’re looking for something close to home, Solitair has a range of UK short breaks that are particularly popular with over-50s including a country house hotel on the edge of Sherwood Forest and an ABBA tribute weekend, plus a one-night mini-cruise. You could try a Christmas and New Year break with Friendship Travel in Belfast, Chester and Dunchurch in Warwickshire. You’ll get your own double or twin room with no single supplement and activities such as a quiz, golf tournament, carol concert and Black Tie ball are all included in the price. You can join in as much as you like, or not. See more singles holidays in the UK. Friendship Travel also offers exclusive singles-only house parties at Fethiye and Olu Deniz in Turkey – a sociable way to enjoy a break in the sun. Most meals and drinks are included and there are no single supplements. Solos Holidays operates its own ClubSolos hotels in the Mediterranean – no couples, no kids, just a small friendly group of singles who want to relax in the sun, socialise with like-minded people and explore the local restaurant scene. And the Mistral Hotel on Crete is exclusively for guests staying solo, there’s a wide age range from 20-somethings to 70 plus, with activities, two pools, a nearby beach and the chance to be as sociable as you want. 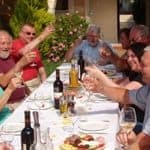 Travel One offers house parties for singles at beach hotels in Calpe on the Costa Blanca, Majorca and Lanzarote, with its guests typically aged in their 40s, 50s and 60s. 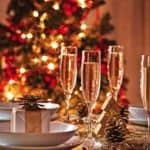 Its Autumn Party in Spain and Christmas and New Year parties are particularly popular. There’s never a bad time to take stock of your life either – and for a trip promising more than a chance to chill out, head to Cortijo Romero, a converted farmhouse in the hills of Andalucia, where the themed breaks include dance, Pilates and creative writing as well as personal development. It’s popular with singles and about half its guests are over 50. Check out the course schedule for the full list. Groups are a great way to see if the world if you’re travelling solo, and many small-group touring companies cater to solo travellers, some offering room sharing as an alternative to paying a single supplement. It’s not uncommon to find 40% or 50% of guests on a tour travelling alone. They may not all be single, some will have simply left a spouse at home. For example, On The Go Tours has a high proportion of singles on its group trips, some of which have no compulsory single supplement. 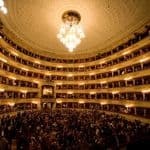 They are open to all ages, though the majority of guests are aged over 50. Popular destinations include Thailand, Sri Lanka and Egypt. I especially like its tours in Turkey which will get you under the skin of this fascinating country. 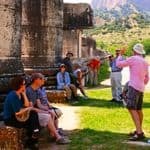 One of its most popular tours, Turkey Unplugged, visits Istanbul, Gallipoli, the historical sites of Troy and Ephesus, the thermal pools at Pamukkale and the cave churches of Cappadoccia. 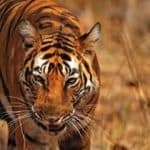 Another company with room-share options, specialising in South East Asia, InsideAsia Tours has a variety of trips including a 13-night tour of Burma and this 10-night tour of Vietnam. 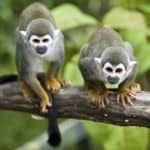 And if you’ve done a safari in Africa, next stop could be Madagascar where these small group tours are perfect for solo travellers. There’s also a growing trend in solos-only tour groups to cater to Britain’s growing population of singles. 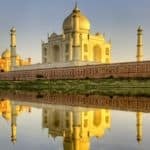 For example, Cox & Kings has a selection of tours for single travellers including a 12-day Exotic India tour of the Golden Triangle and beyond. You’ll get an expert guide, your own double room and no single supplements. Or look to Latin America where the company’s Natural Wonders of Costa Rica tour explores the country’s wildlife, volcanoes, rainforest and cloud forest, while the nine-day tour Treasures of Peru includes Cuzco, the Sacred Valley of the Incas, lunch with a local family on Lake Titicaca and an overnight stay at Machu Picchu. 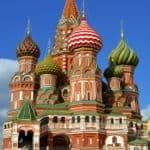 Its seven-day Majestic Russia tour of Moscow and St Petersburg for solo travellers is also popular with over-50s. 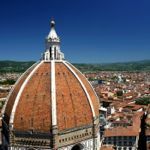 There are European city trips galore, from Dubrovnik, Vilnius and Krakow to Bucharest with Solo Travellers Group Holidays, the UK’s only specialist in escorted tours for singles. The average age for its clients is 30-50, but with travellers joining well into their 70s. Closer to home, Explore runs some fabulous small group tours in Portugal – very popular with single travellers, and a great option for spring and autumn. Their best seller is the week-long Highlights of Portugal. This 11-night food and wine walking holiday also has vineyard tastings and off-the-beaten-track gastronomy in Porto, the Douro Valley and the Spanish city of Segovia. 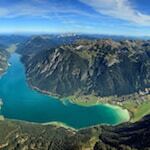 Europe’s lakes and mountains have long been a favourite of the over-50s. There are plenty of quiet unspoilt resorts where you can explore picturesque lakeside towns and take gentle walks through flower-filled meadows. But there are also challenges for those who fancy hiking up some serious gradients, or skiing in winter. Inghams has negotiated single and double rooms with no supplement for most of the year at charming hotels in Austria, France, Germany, Italy, Switzerland and Norway. In Austria, favourite resorts include Alpbach, Ischgl, Mayrhofen and Obergurgl. In Italy, head to Lake Como, Lake Trasimeno or pretty Limone on Lake Garda. Solos Holidays has a great selection of walking holidays across the globe – there are no single supplements and you get your own double room. Highlights include Northumberland and Devon in the UK and, in Europe, Mallorca, the Albanian Alps and Montenegro. 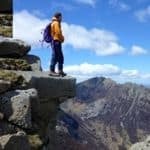 There’s another great choice of walking breaks from Ramblers Walking Holidays, including UK, Europe and further afield. Check out the complete list of walking holidays with no single supplement. You could join a trekking holiday in Iceland along the famed Laugavegur trail in the southern central highlands of Iceland to Thorsmork glacier valley too. If you prefer something less strenuous, this five-day Land of the Northern Lights tour in winter, or Grand Tour of Iceland in summer, are both tempting. Or how about an active holiday where you return feeling revitalised and re-energised? The Healthy Holiday Company has a range of healthy holiday ideas, including yoga and fitness-based breaks, plenty with a side of luxury. And The BodyHoliday in St Lucia mixes spa treatments with watersports and exercise classes, all all-inclusive. As well as communal dining and single rooms with king-size beds, the regular September Solos programme is focused on guests travelling alone. If you love horses – or have always fancied being a cowboy – head to the American West for a truly memorable getaway on a ranch holiday. You’ll find luxury resort ranches that are ideal for beginners and small working ranches where experienced riders can take part in cattle drives and sleep around a campfire under the stars. And ski fans needn’t miss out because they’re travelling alone either. Inghams has supplement-free ski holidays for solos if you want to spend time on the slopes, but not in a group. For group ski trips check out Friendship Travel which recommends Les Deux Alpes in France for beginners, and runs its own ski house parties in the French resorts of Alpe D’Huez and Serre Chevalier. Single Parents on Holiday also runs solo holidays aimed at those travelling without their kids – perfect if yours have recently flown the nest – including a four-star ski break in Austria. 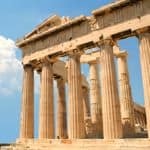 Art, literature, music, archaeology – whatever your passion, there are more specialist holidays than ever based around particular themes – and with a guaranteed interest in common, it makes an ideal trip for solo travellers. Kirker Holidays has a range of music holidays and cultural tours that are popular with singles over 50. Groups typically consist of 12 to 20 people led by an expert guide and you’ll find no single supplements on selected trips. The cultural and archaeological holidays in the Mediterranean from Peter Sommer Travels are also popular with solos. You can sail on a traditional Turkish gulet to the Cyclades in the Greek Islands, take a Gastronomic Cruise in Turkey or cruise Italy’s Amalfi Coast. Land-based tours include Sicily and Crete. Friendship Travel has its own singles-only trip to Sicily too which includes some cultural tours, as well as some downtime staying at the stylish four-star Domina Home Zagarella. And Martin Randall Travel has several singles-only cultural trips as well. You could discover the palaces and art collections of St Petersburg or explore Samarkand and the Silk Road cities. The company also runs cultural tours in the UK including a five-night visit to the great houses and gardens of the South Downs. 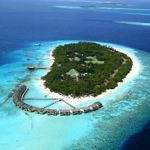 When it comes to beach idylls, it’s hard to beat the Maldives: you could have sole use of a double room with no single supplement at Bandos Island Resort. Or for more ideas about tropical getaways for solo travellers there are more options across the Caribbean, South East Asia and the Indian Ocean. In Sri Lanka you’ll also find a collection of beachfront hotels with no single supplement including the Koggala Beach Hotel and Long Beach Resort in Koggala, which has one of Sri Lanka’s best beaches. There’s plenty of coastal choice a short-haul flight away, such as this great collection of Algarve hotels with no single supplement. 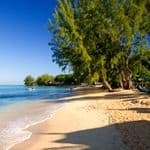 A number of these have great offers on longer stays, along with an option to upgrade to all-inclusive. And if you have time to spend, Saga Holidays has some great deals on long-stay hotels with no single supplement as well (for example, four weeks for the price of three). Its best-sellers include the Hotel Iberostar Royal Andalus on Spain’s Costa de la Luz (the food is outstanding) and the Hotel Aguamarina in Tenerife. Saga has exclusive use of the award-winning Bel Jou on St Lucia and has all-inclusive deals at the Tamassa luxury resort in Mauritius, Kamala Beach in Thailand and Memories Jibacoa in Cuba.